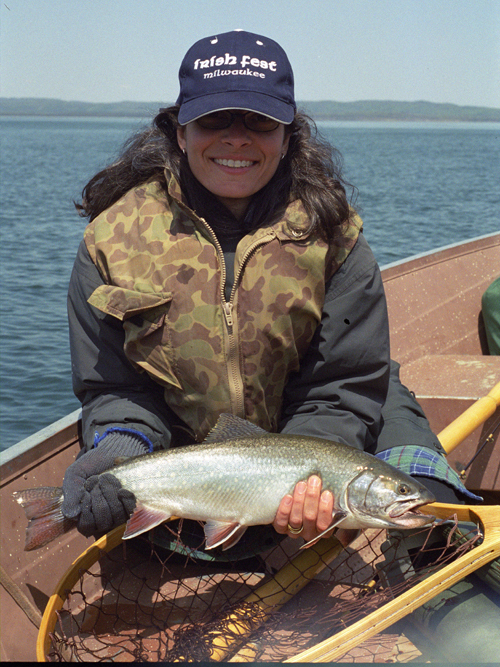 Each year, the GLSF offers grants of $2000 US each to assist graduate students in research on Coaster Brook Trout in Lake Superior or its tributaries. The recipients must be graduate students at a Michigan, Minnesota, Ontario or Wisconsin university or college pursuing a degree in an accredited program of Fisheries Management, Limnology, Ecology, or Biology with a focus in fisheries or a related field. The research may be part of a broader body of work, such as a graduate thesis and the financial assistance added or matched with other funds. Key areas of research could include, but are not restricted to: Habitat requirements of coasters; Life-history strategies and patterns; Factors limiting coasters in various Lake Superior habitats; Migratory behavior patterns; Interactions with other migratory salmonids; Evaluation of management activities; Watershed restoration approaches toward coaster rehabilitation; Reintroduction strategies including genetic issues; Mapping coaster habitat, such as groundwater outwelling sites. grant funding will be retained by the institution. Cover Sheet- a one page cover sheet including the following information: Title of the project, name of investigator, institutional affiliation, address, phone number and e-mail address. Letter of Recommendation-a one page letter of recommendation from a faculty advisor assigned to the student. Rationale: What issue or question will be addressed, and why is the proposed research important to that question? Objectives: What processes, patterns, or relationships will be evaluated to address the research question? Methods: Describe the study design and analytical methods. Financial Plan- a description of how the grant will be used in the conduct of the research, within the context of an overall funding plan, indicating matching contributions by other sources, if any. One page maximum. Timetable- an overall schedule, establishing major milestones. One page maximum.